16″x20″ Acrylic. I created this painting as a study for a Client. I did end up creating another one that was 5’x7′. 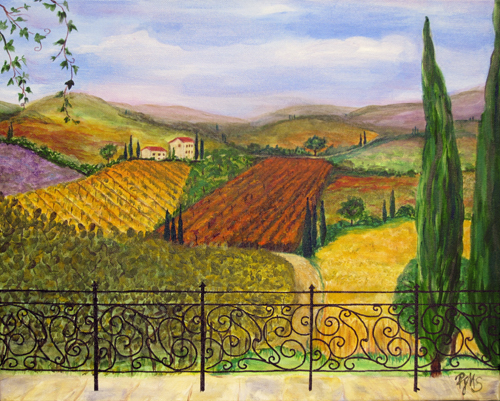 Made up of perspective and color composition and elements the client chose to have in the painting, it is a nice little painting I would love to go to Tuscany some day to see for myself. I might like it enought to stay…I love Italian food…..